Are you bothered by deep wrinkles in your brow? Do your vertical frown lines make you look angry when you are not? Do you have crow’s feet that make you look older than you feel? All of these facial changes can easily be corrected by a thoughtful, no non-surgical procedure involving the injection of Botox or Dysport. In addition, these medications are powerful treatments for some types of migraine headaches, TMJ pain, and tooth grinding (bruxism). It can also be used to treat complications after Bell’s palsy, facial paralysis, and brain surgery. There are a multitude of cosmetic and medical applications of these drugs and Dr. Brace is well versed in each. Dr. Brace started a resident Botulinum toxin clinic as the Chief Resident at Dalhousie University where he treated cosmetic patients and trained other residents in proper injection techniques. He has presented on the topic at Dalhousie University’s Department of Otolaryngology’s Grand Rounds. At Ohio State University, Dr. Brace had great success using therapeutic Botox to treat people with medication-resistant migraines and complications of facial paralysis. In addition, he has tremendous experience with cosmetic applications and prides himself on being able to create a natural appearance that eliminates lines but retains movement and expression in his patient’s faces. 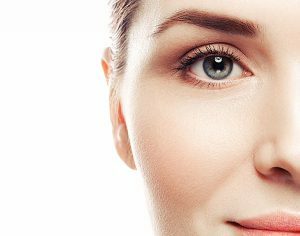 If you have considered botulinum toxin injections but have been fearful of looking unnatural, book a consultation with Dr. Brace to discuss what can be achieved to rejuvenate your face in a powerful but subtle way. At Guelph Facial Plastics, Dr. Brace uses a variety of facial fillers to soften lines around the mouth, create a defined jawline, volumize the lips and cheeks, improve dark shadows around the lower eyelid, and add volume back to sunken temples. Fillers are composed of hyaluronic acid or calcium hydroxylapatite, which are both naturally occurring in the skin and bone respectfully. The body naturally breaks down fillers and, because of this, their effect can last from 6 months to 24 months. There are some significant risks to the injection of fillers and solid knowledge of the facial anatomy is important to produce a safe and natural appearance. 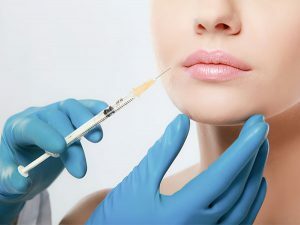 Dr. Brace is an expert in injectable filler use and has served as an instructor for the dermatology residents at the Ohio State University where he taught safe techniques that produce natural and balanced results. Dr. Brace can correct the results of poorly performed facial filler, from modules to asymmetries and provide you with a treatment plan to achieve a natural look. Book an appointment with Dr. Brace to receive a full photo documented facial analysis and he will provide you with a full evaluation and an individually tailored treatment plan for your face. A chemical peel is a powerful non-surgical tool to reduce fine lines, reduce brown discoloration from melasma or sun damage, tighten eyelid skin, and create a fresh rejuvenated glow to your skin. However, all chemical peels are not created equal and the wrong peel for your skin can create de-pigmented white spots, scars, new brown patches or make existing brown patches darker. If you have been considering a chemical peel, trust your face to an expert. Book a consultation with Dr. Brace to discuss if a chemical peel is safe and right for your skin. Deoxycholic acid is a naturally derived chemical, present in our bodies, that kills fat cells. Belkyra (Kybella in the USA) is the commercially available form of this medication that is approved for the permanent reduction and improvement of submental fat (the double chin). In the properly selected patient, impressive results are obtained without the use of surgical techniques like liposuction. As with any treatment, there are risks from these injections. Dr. Brace was among the first facial plastic surgeons in Ohio to train with this product and is well versed in its safe and appropriate use. Book an appointment with Dr. Brace to see if you are a good candidate for this non-surgical treatment. At Guelph Facial Plastics Dr. Brace can counsel you regarding the appropriate skin care products that can help you rejuvenate your face or retain your results. Investing in quality skin care products is an important investment in your face. Dr. Brace carries a full line of SkinMedica products available on site. Book an appointment with Dr. Brace to discuss the best non-surgical products for your skin.